Winter is Here — Is Your Parking Facility Prepared? Oh, winter. Its inevitability doesn’t make it any more palatable. Filling your grit requirements as early as possible will help you avoid being caught unprepared by surprise storms. Plus, you won’t have to pay a premium when demand inevitably rises. Salt — salt is a relatively inexpensive way to melt or prevent ice. It chemically lowers the freezing point of water, making it an effective way to prevent ice before a storm, or to melt stubborn ice spots afterwards. However, salt can be very harsh on grass, shrubs, and customers’ shoes. It may also contribute to the premature erosion of concrete and steel. There are also environmental concerns about salt polluting water runoff. For these reasons, salt your facility strategically and with care. Sand — where salt melts the ice, sand does not. Instead, sand is abrasive and improves traction in icy areas. Sand is very effective on surface ice (i.e., the stuff you could skate on). However, if it gets buried in snow, sand becomes less effective and will need to be reapplied. Ideally, your parking facility will be treated with a mixture of both; salt before inclement weather, and sand for any slick spots after the fact. Though not typically used by commercial operators, there are also other, lesser known alternatives to salt and sand worth noting. These include kitty litter, sawdust, and wood ashes. This year, the City of Winnipeg has even started using beet juice to cover its slippery streets! Update your cleaning schedules to sufficiently protect equipment from malfunctions and premature breakdowns. Sensors, detection loops, ticket dispensers, and cameras all stand to suffer during inclement weather. Pay stations and gate arms that are directly exposed to harsh elements can also freeze and seize up, and thus they require insulation. Without functioning equipment, your entire parking asset — and most importantly, your customers’ safety — is at risk. Frozen pipes can become a costly safety hazard if incorrectly addressed. If you suspect a pipe in your parking facility has frozen, don’t delay — call a plumber immediately. Impark’s Parker Pete motor assist services are particularly revered by customers during the winter months. Jump starts, oil changes, and emergency fuel all prevent customers from becoming stranded, delayed, and unnecessarily exposed to the winter elements when their vehicles no longer wish to play ball. Further seasonal amenities you may wish to offer include complimentary ice scrapers and de-icer for drivers, and coffee, hand warmers, and warming stations for shuttle or transit customers. If in doubt as to how prepared you should be for winter, remember the five Ps of success: proper planning prevents poor performance. 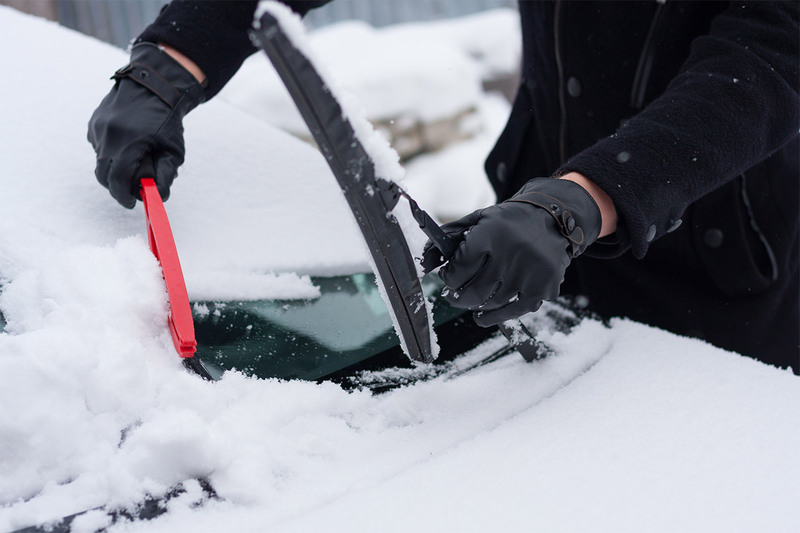 As a parking management company that’s battled extreme weather on both sides of the border — from snowstorms to droughts, and everything in between — Impark is an expert at operating in inclement weather while maintaining exceptional customer and client service standards. If you’ve been frozen out by your current parking operator, contact an Impark representative today. Josh Gianotsos is a director of strategic accounts at Impark. Email him at jgianotsos@impark.com. Greg Chapman is a business development manager at Impark. Email him at gchapman@impark.com. I have a confession: I’m a parking professional, and I need to take a hike. Shockingly, I find myself encouraging prospective clients to take a hike, too.